A few years ago, LinkedIn was a place to feature your resume and perhaps land a job offer. Those days are over. LinkedIn has now evolved into a content marketing platform with nearly 600 million members and over $1 billion in quarterly revenue. Professional Headshot: This seems like a given, but let’s be honest—how many bad headshots are still out there on LinkedIn? Your company may cover the cost of getting a new headshot taken, but if not paying a professional photographer $150 is a career investment worth making. 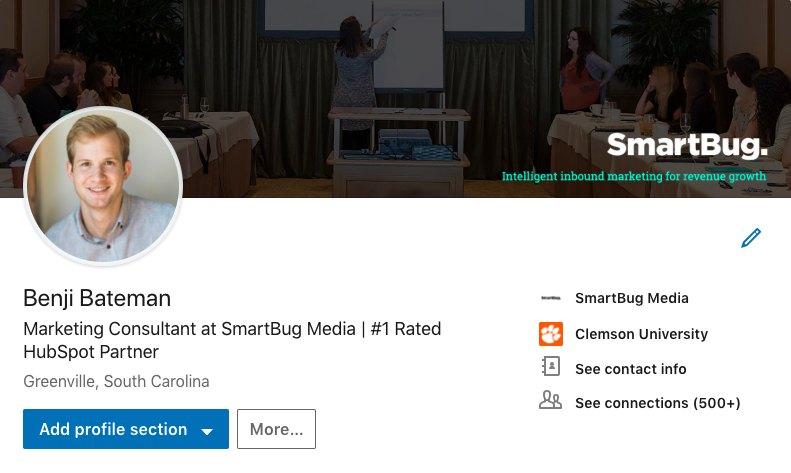 Pro tip: If your whole company needs new LinkedIn headshots, make sure everyone uses the same background color so your employees are easily recognizable on social media.